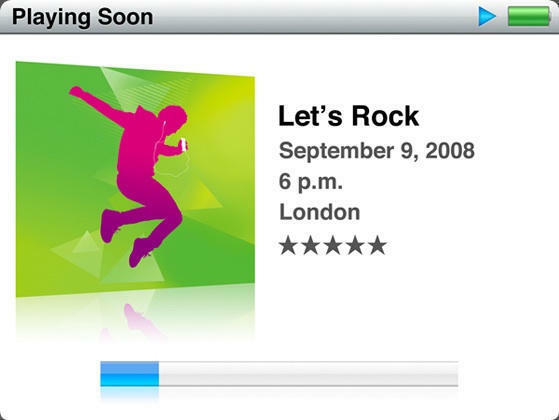 Speculation surrounding this morning’s ‘Let’s Rock’ Apple special event remains intense, with Digg’s Kevin Rose at the center of the vortex of leaked data, or so it seems. Overnight we’ve picked up a few more details on what to expect, thanks to MacRumors, who tell us that not only will the iPod nano see a shape-shift, returning to the long and thin look of the first two generations, capacity will rise to 16GB. Apple’s also expected to introduce nine different colours for the nano, adding purple, yellow and orange to the existing pink, silver, black, blue, green and Product (RED). Less is known of the iPod touch, which is expected to see a price cut to bring it into line with the cost of an iPhone—and seems unlikely to see a capacity increase, MacRumors also claimed – though far less is known of the iPod touch than of the iPod nano upgrade, other than some suspicions that new features could be enabled in future generation devices, cameras or a microphone, for example. To recap Rose’s claims, Tunes 8 is expected to offer a Grid View, Genius Playlist recommendations, a new Visualizer (based on the Magentosphere visualiser) and support for HD TV show downloads from iTunes, a feature currently only available to the Apple TV. iPhone and iPod touch users are also hoping for iPhone Firmare 2.1, which it is hoped will introduce true push support for MobileMe, more stability in 3G connectivity and an end to widely-reported cases in which iPhone user’s applications and iPod features become unavailable. iPods of all stripes are anticipated to see price reductions, as Apple grapples to deal with an increasingly saturated music player market. Analysts, soothsayers and philosophers of all stripes seem to have achieved a consensus decision in recent days that new MacBooks are unlikely to make an appearance at this event. However, Apple’s publicity people have been urging media to attend the show, which implies that all Apple’s secrets aren’t yet out in the open…that the company has also organized a European media event in London boosts such expectation. Perhaps that one more thing could turn out to be an all-new version of the Apple TV, now equipped with a digital TV receiver, DVD player and larger hard drive? At least one report speculates on such a possibility. Based on timing, I suspect it will be primarily “consumer products” based announcement (ipod, ATV, etc) and not Macintosh focused. (That said, hope springs eternal for the Mac Tablet).